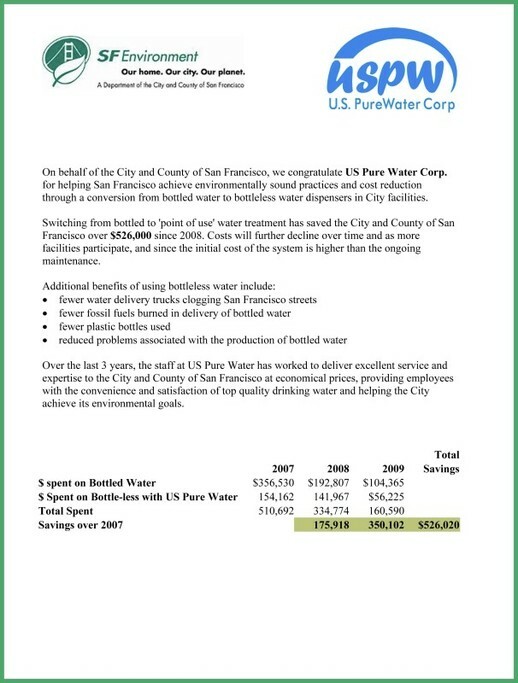 Mayor Gavin Newsom issued an executive order to cut off city funding to pay for bottled water for SF city & county offices, effective June 22, 2007. 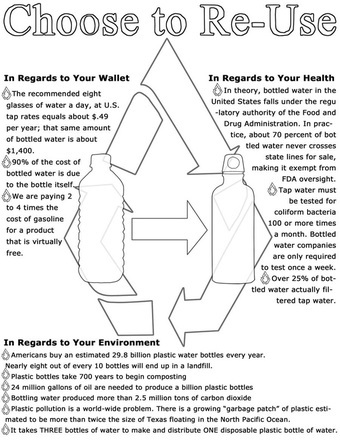 The city was spending nearly $500,000 a year on bottled water. Tony Winnicker, spokesman for the San Francisco public utilities commission said at the time: "We're hoping to set the example for the private sector and other cities in getting off the bottle"
The mayor said he was motivated by the detrimental environmental impact of making, transporting and disposing of plastic bottles, considering that more than a billion plastic bottles are discarded and litter our landscapes, oceans and landfill, in California alone each year. 'Slow Food Nation', 'SF Environment' and a host of environmental organizations rallied for support of the initiative.